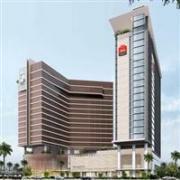 Hotel Ibis Bandung Trans Studio officially opens March 25, 2012. Rates at this new 3-star hotel start from USD33 per night for a Standard Room with free WiFi. A 10% service charge and 11% local taxes are additional. The hotel is conveniently located near Bandung Supermal and Trans Studio, the biggest indoor theme park in Asia. The “Opening Special” is available until May 31, 2012. Room rates may be slightly higher during peak times. Rates are based on single or double occupancy. One child under the age of 12 can share the room for no additional charge. Opening rates require pre-payment by credit card and no changes or cancellations are permitted. 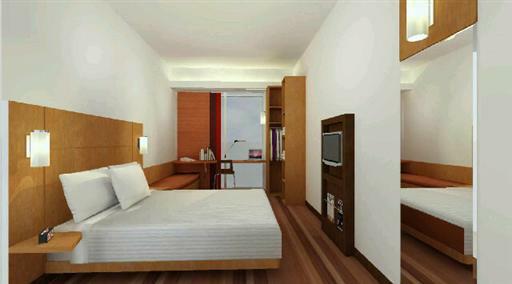 Hotel Ibis Bandung offers 606 guestrooms, making it the largest Hotel Ibis in Asia. There is only one room category and rooms are modernly outfitted with TV, work desk, mini-fridge, ensuite bathroom and your choice of one queen-sized or two single beds. Hotel facilities include a restaurant, lounge, business center, and easy access to Trans Studio theme park. Visit the Hotel Ibis Bandung Tras Studio website for more information or to make an online booking.